As part of the larger NextCare Urgent Care, this clinic has affiliates with the closest other clinic being in Abilene about 6.8 miles away and is open today from 8:00am to 8:00pm. 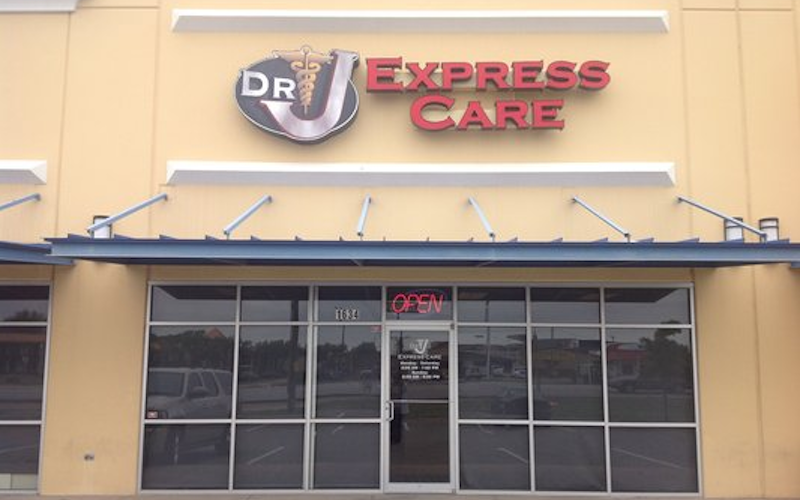 Recognized favorably amongst their patients, Dr. J Express Care, Highway 351 has an average rating of 4.6 stars out of 5 based on 1308 total ratings. Dr. J Express Care accepts many major insurance plans and multiple forms of payment, making it easier to get the affordable care you need. It is always a good idea to contact your insurance company before your visit to ensure the Clinic is in network for the service(s) you're seeking. Great! From the moment I walked in, patient service was the priority! The ease of registering online was a plus. After two shots and an antibiotic.....I feel much better! Thank you, all! I had to wait for 1 hr. 45 mins. Even though I checked in online and was there 15 mins early. Awesome ! Thank you from a California visitor! First time I have visited this location. Impressed with the courteousness of each staff member, the rapid call back, and the efficiency of the diagnosis and treatment. Will definitely come here again. Everyone was very caring and compassionate. I especially appreciate Perscillia, who took my vitals and administered medication to me. Great job! I am pleased with the care that I received. Mr. King was great and very informative. Front office staff and check in staff could definitely be friendlier. Friendly,courteous staff. Rather quick service. I have always been happy with Dr. J’s!